At Tupinamba Mexican Restaurant, you are more than a patron. You are part of a story that began in 1910, when Papa Froylan Dominguez fled Mexico during the height of the Mexican Revolution with a handful of cherished family recipes. 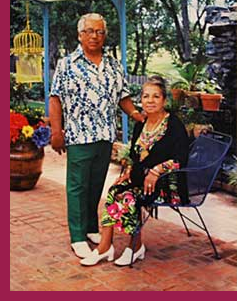 He and his wife Consuelo began serving those recipes when they opened the first Tupinamba in 1947, where it is believed the nacho and sour cream enchilada were introduced to Dallas. What started as a family tradition has now become a Dallas legend. Still presiding over the oldest family-owned Mexican restaurant in the city, the Dominguez family proudly serves the same delicious recipes to this day. Drop in to see us. Welcome to our story.